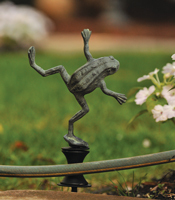 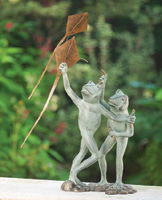 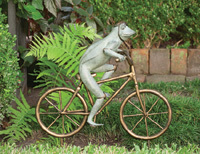 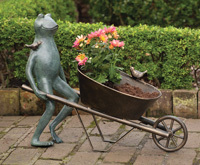 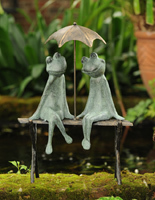 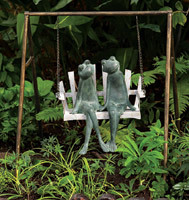 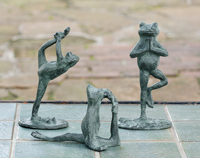 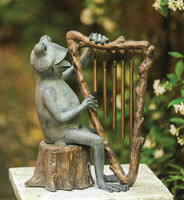 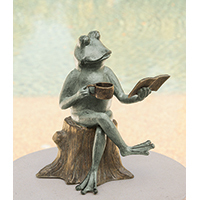 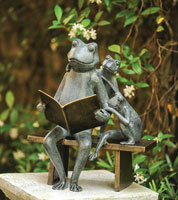 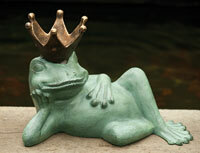 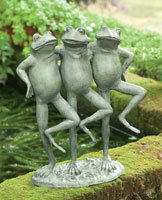 Each frog fulfills an essential role in the garden. 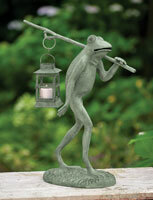 Crafted of aluminum with verdigris and bronze highlights, select one or all. 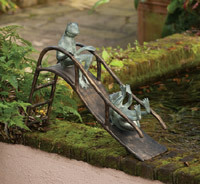 Formerly $155, now 30% off.